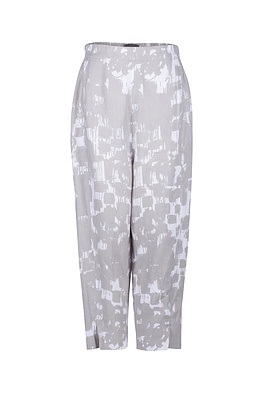 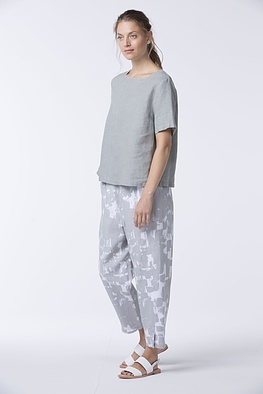 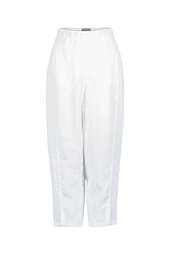 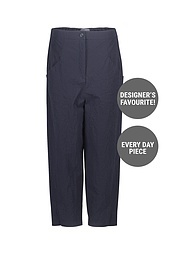 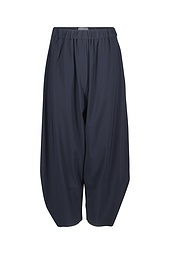 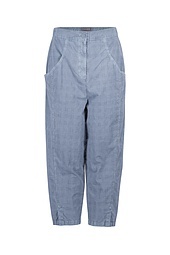 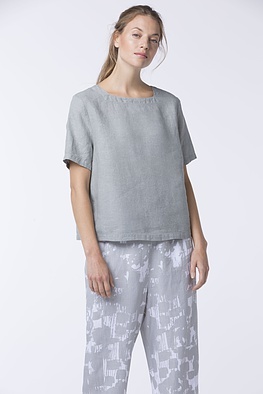 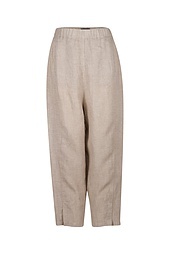 OSKA’s current version of wide-cut trousers with cropped legs and a low crotch are fresh, sassy and very well done! 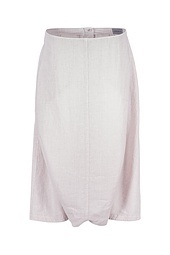 Narrow fitted blazers, short boxy jackets and sporty knitwear and sweater variations are harmonious partners. 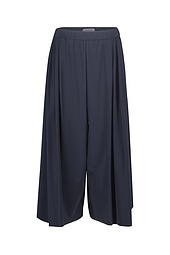 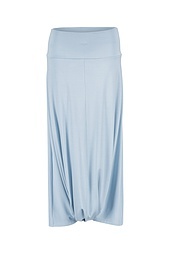 Slits on the tapered leg ends have a beautiful summery appeal. 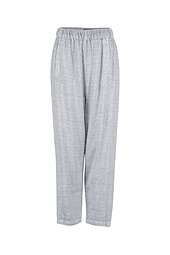 An all-around elastic waistband stands for wearing comfort. 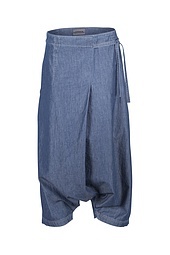 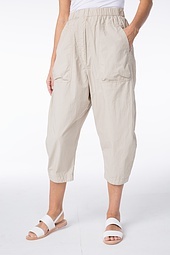 Pockets round off these trousers.